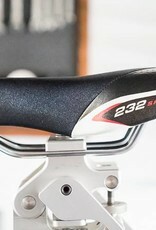 The Italian made Koobi 232 Sprint w/ chromoly steel rails is our best selling saddle to female triathletes. 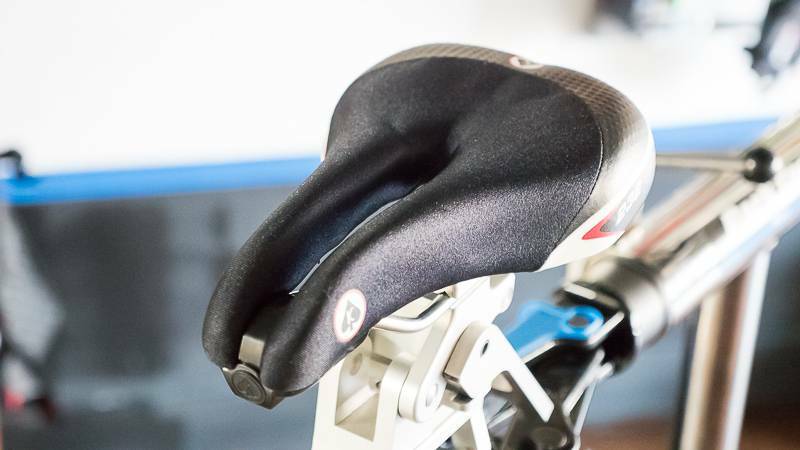 It is not a female-specific saddle, but its low-density foam construction and large relief groove make for a comfortable ride in both the aero and upright position. 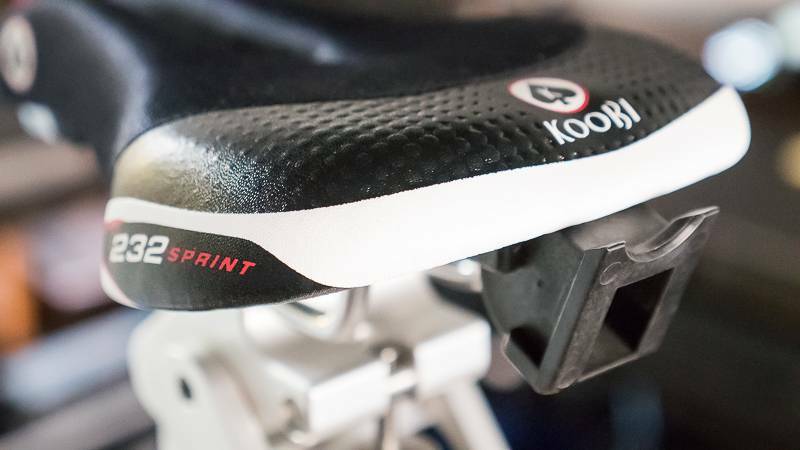 From the Koobi line, this is one of their softest saddles, and is ideal for riders under 170lbs and racing shorter to mid distance races. 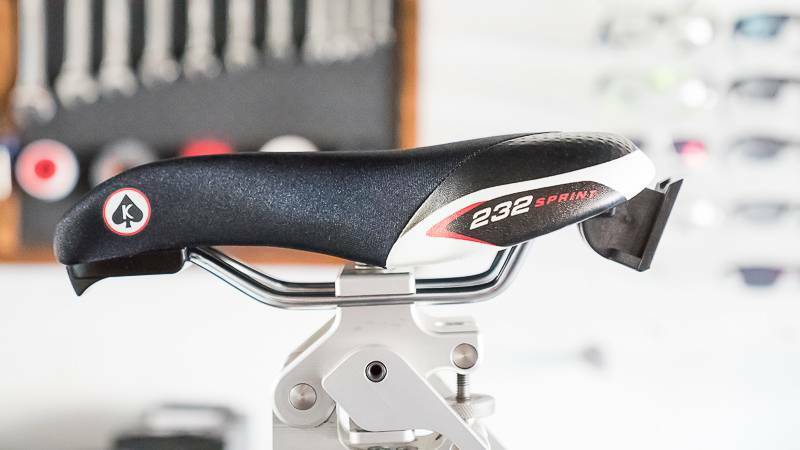 The 232 Sprint is also great for riders new to riding triathlon bikes. The overall construction is designed to evenly distribute pressure without loading pressure onto the center of your pelvis. 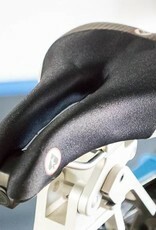 The nose of the 232 Sprint falls away near the tip, preventing point pressure when riding in the aero position. 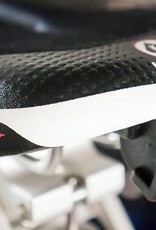 Additionally, the nose has a subtle built-in hook to simplify racking your bike in transition zone.